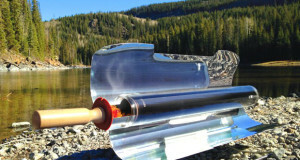 Ultra-portable, no fuel, no flame outdoor cooking miracle! Summary : The GoSun Sport is designed to capture all available ultraviolet light, even if there isn’t direct sunlight. As long as you can see a defined shadow, you can cook! A couple of things come to mind when you think of outdoor cooking. The first of which is probably fire. Whether it’s a portable grill or over an open campfire for a long time, a long, long time, we’ve been confined to cooking in conventional ways outdoors. 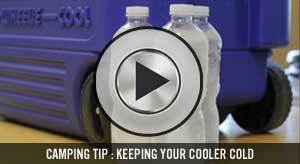 You bring along propane or charcoal, set up your grill and cook away. Or you could go more primal. Building a campfire and cooking over an open flame. 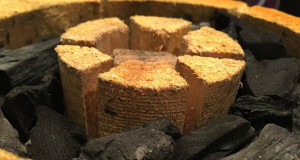 The way people have been cooking for thousands of years. Using the sun to cook may seem like the tired joke “it’s so hot you could fry an egg on the sidewalk, ” but the GoSun Sport has truly made “sunlight cooking” a reality. The best part? It doesn’t even need to be super hot or sunny to enjoy an outdoor meal cooked out of it! Cooking with the sun seems like a good idea until you realize the weather forecast calls for clouds and even cold weather. Your idea of using the GoSun goes out the window, right? Wrong! Want to cook on a cloudy day? No problem. The GoSun Sport is designed to capture all available ultraviolet light, even if there isn’t direct sunlight. As long as you can see a defined shadow, you can cook! GoSun even works in cold temperatures. Just allow more time for it to heat up. 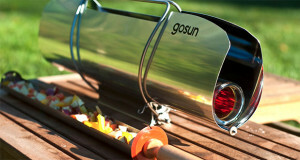 Not only can you use the GoSun in a variety of weather conditions, but it also allows you to cook in a variety of ways. Bake, steam, roast, and fry nearly anything you want. GoSun says to think of it like a turbo slow cooker: hot enough to cook quickly, cool enough to retain your food’s natural flavor, and we could not agree more. The GoSun Sport is designed to capture all available ultraviolet light, even if there isn’t direct sunlight. As long as you can see a defined shadow, you can cook! Nearly 80% of all sunlight entering its reflectors is turned into useable heat. 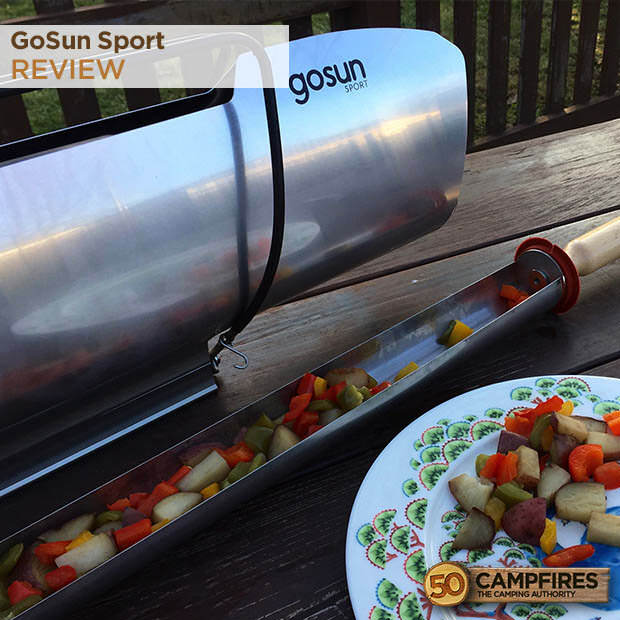 By effectively capturing light from a broad range of angles, the GoSun does not require frequent readjustment to the Sun, making for easy stress-free meals. Ultra-portable, no fuel, no flame outdoor cooking miracle. At 7.5 pounds, the GoSun Sport goes where you do. 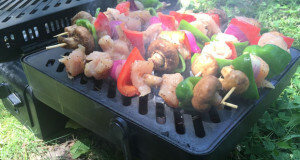 Most portable grills weigh over ten pounds (on the very light end) and up to over 50. Then you factor in the fuel (propane or charcoal) and it’s enough for your back to start hurting just thinking about it. The Sport’s weight and packable dimensions make it perfect for car campers, hikers, canoers, or anyone who likes cooking outdoors but doesn’t want to drag a ton of gadgets and fuel along with them. The GoSun Sport is perfect for two people … or one person if you are really hungry. No judgment from us. Treat the stove like a conventional oven. You’d be surprised how quickly the Sport heats up on a sunny day; reaching temperatures up to 550°F (290°C) and cooking food, in some cases, in under 20 minutes. 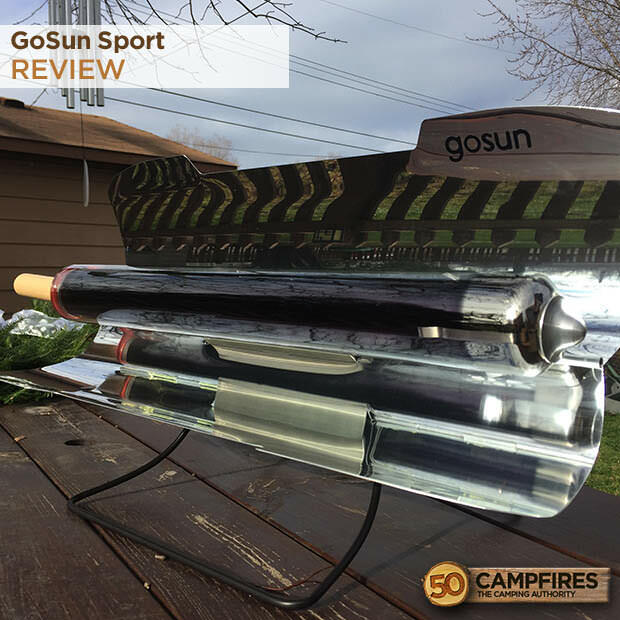 Without getting too deep into the engineering behind the GoSun Sport (if you’d like to read all the details, click here) its double-layered borosilicate glass tube forms a vacuum. Light can be absorbed by the internal layer of the tube and stored as heat. The result? You no longer have to worry about cold or hot spots on your cooking surface because the tube heats evenly. All, and we mean all, of the meals we’ve had out of it, have been delicious! 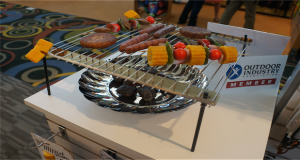 At $279.00, there are less expensive outdoor cooking devices on the market. But this is no ordinary “outdoor cooking device.” It literally converts ultraviolet light into heat; let’s see your charcoal grill do that. 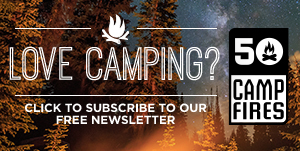 Plus, you no longer have to mess with propane or messy charcoal. To ease some of your worries, GoSun has an excellent 2-year warranty program. As long as you can see a defined shadow, you can cook!